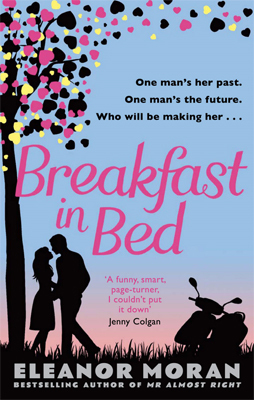 Amber's love life is a recipe for disaster - who will be making her Breakfast in Bed? Take One Newly Single Woman: At thirty-one, Amber is being bombarded with wedding invitations just as she's collecting her divorce papers - and her bossy best friend has gone one step further and made her chief bridesmaid. It's high time Amber regained control of her life. Eleanor Moran is an executive producer for TV drama at the BBC. She is the author of two previous novels, Stick or Twist and Mr Almost Right.